Already 9 persons shown interest. 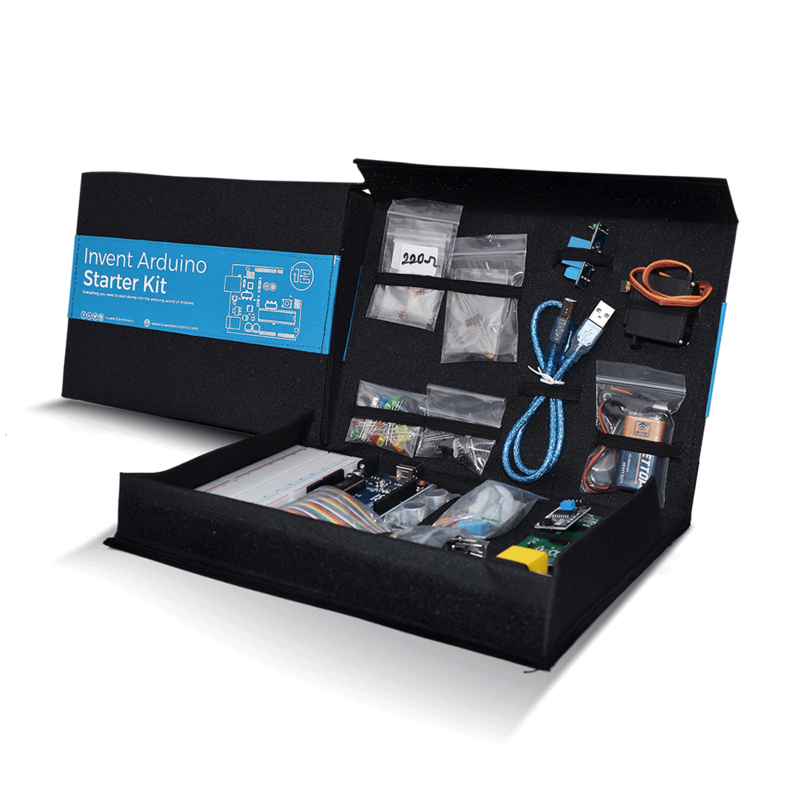 We’ve completely revamped our very well loved and top-selling Invent Arduino Starter Kit! The NEW Invent! Arduino Starter Kit includes everything you need to dive into the world of Arduino and much more! We have taken out not-so-useful parts and replaced them with some awesome new parts. There are more components now, the packaging has been revamped, and we’re building a new set of over 50 tutorials and projects based on The NEW Invent Arduino Starter Kit! This kit is still based around the Arduino Uno microcontroller and contains in addition to the Arduino microcontroller a lot of sensors, actuators, passive components and more. It costs much less than buying the individual components. You actually save over GHC 50! Everyone from beginners to advanced users will appreciate all that the Invent.! Arduino Kit has to offer. If you’re looking for inspiration for what to create with this value pack of parts, watch out for our all complete list of wonderful projects and complete tutorial lessons which include videos. The Invent! Arduino Starter Kit will surely give you more than you bargained for! ✅ The best selection of electronic components, sensors and more to get you started immediately. ✅ Over 50 step-by-step tutorials and projects with sample code for easy learning. ✅ A beautiful, portable high-quality leather packaging making it easy to carry your kit around. ✅ A prototyping board with breadboard and Arduino attached which makes building projects a breeze. ✅ An active and highly engaged community of hobbyists and makers in the Invent Electronics community to help you become better at Arduino programming. The product is great but please improve on delivery system. In my case, it was a pickup but someone was sent to deliver it to the person picking it up. No form of identification was sought. My contact worried about how they would just give the package to someone who confirmed a name without photo ID. You guys are doing great but i think the Kit package can be improved and the LCD should come with the I2C soldered unto it. Nonetheless great job. It was very great shopping with invent Electronic. They first told me a component was not available but some minutes, I receive s call that they’,be gotten it from one of their local supplier. They’ve made my day that day.